Emily Scofield's love for nature and environmental protection has been present since she was running around the creek bank behind her house, exploring the woods at her maternal grandparent's farm and learning about birds from her paternal grandparents. As a pre-teen she collected her family's aluminum cans for recycling and was rewarded with a little change to buy candy! During the Earth Day revival of 1990, Emily was made aware of global environmental issues that stoked her passion for the planet. This passion has never waned and Emily's career path reflects her dedication. An accomplished leader, educator & author, Emily Scofield focuses her career on environmental protection. She is currently the Global Director of Energy & Sustainability Services and Health, Safety, Security & Environment for JLL on the Bank of America account. Previously, she was Executive Director of the U.S. Green Building Council – North Carolina Chapter and ran a consulting business, ESH Consulting, LLC. Drawing on more than 15 years of experience in environmental initiatives, she regularly communicates with politicians, corporate executives, interested citizens and students to promote creation care, a love of nature and sustainability. Before her children were born, Emily was an adjunct professor at four different colleges in North Carolina teaching Environmental Science, Issues in Science and other related courses. 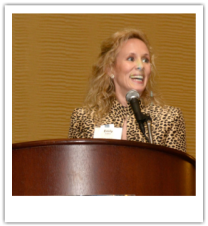 Emily continues to educate on sustainability through various speaking engagements and in articles featured in numerous publications. ‘CoCo and Dean: Explorers of the World’ is the first in a series of adventure tales to elevate children’s environmental awareness.